This time of year, often there are storms rolling through the area when my husband and I go rowing after work. We can’t always tell from looking at the weather forecast if we’re likely to get wet. So, we sometimes drive down to the boathouse, which is not too far from home, and then look at the sky and check the weather radar to get a better idea if any storms are near. We might row one lap and then stop to take another look. What often happens on such days is that we have the river to ourselves because other rowing club members decide to stay home. They look at the sky, see dark clouds, and don’t want to risk the possibility they might be caught in a storm. As a result, they miss out on a lot of days that turn out to be good after all. Of course, I’m not suggesting that anyone should take foolish risks. If we hear thunder while we’re rowing, we hurry back to the dock and get off the water like we’re supposed to do. 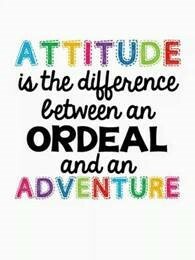 But if we’re not sure that it will rain, we generally prefer to err on the side of adventure rather than caution. Hi Meg! I used to row a rubber dingy and windsurf when I was a young adult. The wind can be helpful and dangerous like a double edged sword. Glad to know you both are healthy, strong and resilient enough to combat rainy weather on water.